Prabir K. Dutta received his BS degree in Chemistry from Calcutta University in 1972 and a MS degree from Indian Institute of Technology, Kanpur in 1974. In 1978, he received his Ph.D. degree in Chemistry from Princeton University. After a year of post-doctoral study at Princeton and four years of industrial research at Exxon Research and Engineering Company, he joined The Ohio State University as Assistant Professor. He was promoted to Associate Professor in 1988, and to Professor of Chemistry in 1992. Since 1998, he has been the Robert K Fox Professor of Chemistry. He was named Distinguished University Professor in 2010. He has received several research and teaching awards, including a Society for Applied Spectroscopy Award in 1993, Ohio State Distinguished Scholar Award in 2000 and a Teaching Award in 2000. He is also currently the Deputy Director of the multidisciplinary NSF-funded center, Center for Industrial Sensors and Measurements in the College ofEngineering with responsibility for directing the basic research program in ceramic sensors. 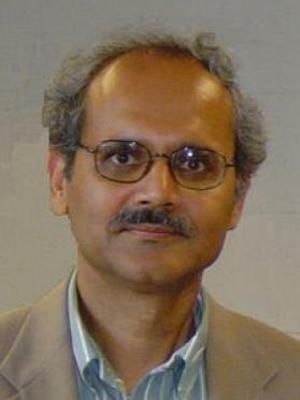 Professor Dutta was the Department Chair from 2003 through 2007. 1) Microporous Materials Synthesis: We are examining the synthesis of microporous materials in novel environments such as reverse micelles. Our eventual goal is to exploit microgravity conditions on the International Space Station to further understanding of synthesis of microporous materials. 2) Photochemistry in Microporous Materials: The architecture of microporous materials, in particular, zeolites is being exploited to assemble photochemical assemblies that can promote the use of light to generate useful chemicals, as in the production of hydrogen and oxygen from water. 3) Harsh Environment Sensors: High temperature sensors appropriate for use in harsh environments, as in automotive exhausts for detecting gases such as carbon monoxide, hydrocarbons, nitrogen oxides are being developed. In addition, arrays of sensors are being assembled to analyze complex gas mixtures. 4) Toxicity of Mineral Fibers: The basis of toxicity of mineral fibers, such as asbestos are being developed via studies of model zeolitic fibers with rat lung macrophages. Rapid Crystallization of Faujasitic Zeolites: Mechanism and Application to Zeolite Membrane Growth on Polymer Supports By Severance, Michael; Wang, Bo; Ramasubramanian, Kartik; Zhao, Lin; Ho, W. S. Winston; Dutta, Prabir K. From Langmuir (2014), 30(23), 6929-6937. Light activated processes with zeolites: recent developments By Dutta, Prabir K.; Chakraborty, Subhrakanti Edited by Suib, Steven L From New and Future Developments in Catalysis: Solar Photocatalysis (2013), 49-62. Influence of crystallite size on cation conductivity in Faujasitic zeolites By Severance, Michael; Zheng, Yangong; Heck, Elizabeth; Dutta, Prabir K. From Journal of Physical Chemistry A (2013), 117(50), 13704-13711. Minimal Intestinal Epithelial Cell Toxicity in Response to Short- and Long-Term Food-Relevant Inorganic Nanoparticle Exposure By McCracken, Christie; Zane, Andrew; Knight, Deborah A.; Dutta, Prabir K.; Waldman, W. James From Chemical Research in Toxicology (2013), 26(10), 1514-1525. Nitric oxide sensors using combination of p- and n-type semiconducting oxides and its application for detecting NO in human breath By Sun, Chenhu; Maduraiveeran, G.; Dutta, Prabir From Sensors and Actuators, B: Chemical (2013), 186, 117-125. Interface reaction and its effect on the performance of a CO2 gas sensor based on Li0.35La0.55TiO3 electrolyte and Li2CO3 sensing electrode By Yoon, Junro; Hunter, Gary; Akbar, Sheikh; Dutta, Prabir K. From Sensors and Actuators, B: Chemical (2013), 182, 95-103. Tuning the Activities and Structures of Enzymes Bound to Graphene Oxide with a Protein Glue, Pattammattel, Ajith; Puglia, Megan; Chakraborty, Subhrakanti; Deshapriya, Inoka K.; Dutta, Prabir K.; Kumar, Challa V. Langmuir (2013), 29(50), 15643-15654. Influence of crystallite size on cation conductivity in Faujasitic zeolites, Severance, Michael; Zheng, Yangong; Heck, Elizabeth; Dutta, Prabir K., Journal of Physical Chemistry A (2013), 117(50), 13704-13711.